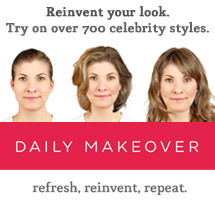 Are you looking for gift inspiration for the product-junkie in your life? There's always at least a few of us on your shopping lists ;) Think no longer and get a hold of one of Philosophy's perfectly packaged holiday gifts. 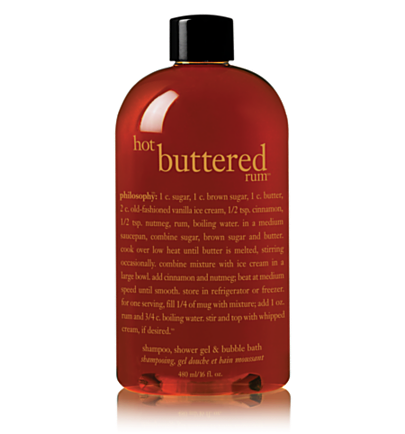 Their delicious line of yummy smelling body washes/shampoos are my faves and I also love their equally tasty glosses. This holiday season, the brand has come up with a variety of affordable perfectly appropriate, sumptuous treats that make for ideal presents. Head straight for Sephora or check out their stash online at www.philosophy.com. I absolutely ADORE Philosophy! Their products make me smile and are great for so many occasions! -The Gingerbread House-a refreshing gingery-smelling wash in a perfectly adorable "gingerbread house". These dual 8 oz washes make a great holiday host and hostess gift or are great as a joint couple gift. 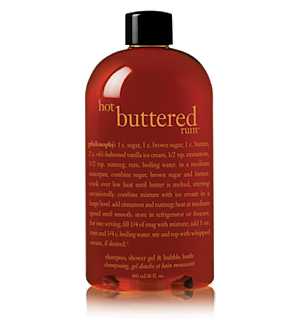 -Hot Buttered Rum-This sweet buttery shower gel, shampoo and bubble bath literally smells like a mixture of waffles and a sugary rum dessert drink. It also feels creamy and smooth on the skin and makes you feel refreshed and clean despite smelling like you just downed some pretty bad for you calories. -Silent Night-a soothing lavender shower gel that makes you feel relaxed and peaceful and soothes the skin. I love the calming scent of lavender after a long day and you will too! -Peppermint Bark-The minty gift set comes with a mint chocolate shower gel, shampoo, bubble bath and matching lip gloss in a universally flattering tint. The decadent candy scent literally makes my mouth water! This set which comes in a giftable tin is a fantastic stocking stuffer or gift for under the tree. Philosophy has a TON more yummy gift-worthy bath and body products. Peruse their site immediately to and start ticking off your holiday shopping list! Excited about these! It is the perfect gift for someone or for yourself to help you get into that holiday spirit.